Since my decision to take on the challenge of the FBA master last March, I have been craving for inside knowledge in the football industry. The Stadium Operations course provided by ESSMA is perhaps the best example of what I was hoping and looking for: a great combination of insightful presentations and case studies to look at, which really allows the FBA candidates to get closer to the field and to get, therefore, an overall understanding of the football business itself. Not only were we provided with useful material every week, but we were also given the chance of talking directly with professionals in this field for a couple of hours, sharing with them opinions and addressing some of the most urgent and relevant issues. We have recently completed the first part of the module which was focused on the development and construction phase of a stadium, that is the very early stages when a renovation or a construction project is being thoroughly considered by the club management. The first 2 sessions were with John Barrow, an international architect with over 30 years of experience in the field of sports and entertainment venues, while the last one on part 1 of the course was with Birger Bass, head of stadium infrastructure and stadium security of DFL (the German Football League). First and foremost, we took a closer look at the main stakeholders involved in this lengthy and quite complex process: owner, sponsors, funders, municipality, naming rights partners, federations, developers, contractors, local and national politicians and many others which have huge interests at stake and are to be taken always into consideration especially in this first stage in order to avoid serious issues later on. What’s more, all the details and requirements must be stated clearly since the very beginning: from the seating capacity to food and beverage, spaces allocated to media, hospitality, suites, lounge, fan zones, security and safety provisions and so forth. 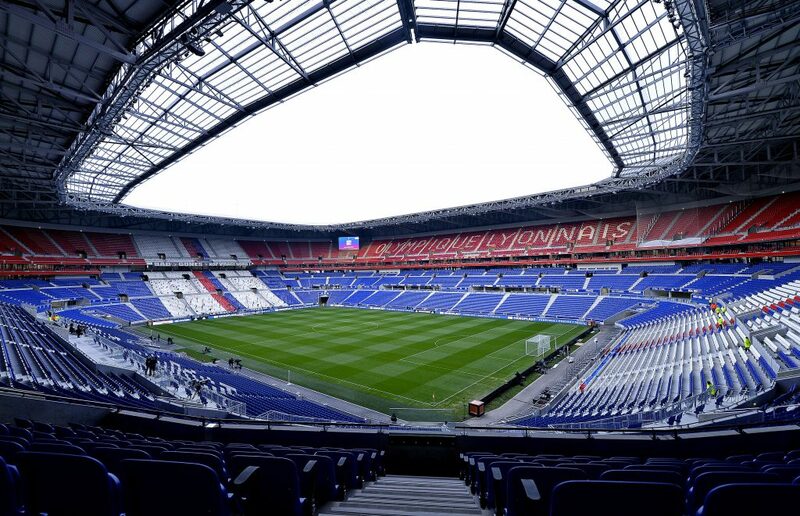 John then shared with us case studies to which he himself had worked on or had been directly involved in; among the many useful provided, the new Olympic Lyonnais stadium inaugurated in 2016 and the Emirates stadium stand out as they blatantly show what a modern and successful stadium is supposed to deliver nowadays: a bunch of services and entertainment which go beyond the football match itself and is therefore capable of creating a reliable stream of revenue from the matchday activity of a club. Speaking of legacy, that is what happens to a facility when a specific event has taken place, we then went on analysing the temporary solutions which might turn out to be particularly handy when it comes to the Olympics games. The volleyball stadium in London 2012 is perhaps one of the most iconic examples in this regard as it was built up in quite a spectacular setting, close to Buckingham Palace, and was left in place for just 3 months. Temporary solutions are cheap, relatively easy to build and, more importantly, sustainable as they do not end up being a burden on the tax-payers shoulders in contrast to some permanent solutions. We then also had the chance of taking a look at the London Olympic Village in Stratford and the one in Sochi for the Winter Olympic Games trying to draw a comparison between these two and eventually make an assessment on their legacy. It was particularly interesting to get insights from John Barrow about the Fisht stadium in Sochi, which is being used also now for the World Cup, following all the steps of the development project. With Birger Nass, we had to change the perspective on the matter. In fact, the compliance with the national federation requirements, in this specific case the German one, is also an important factor to be taken into account and sometimes can be a boost to renovate or construct a new stadium as we’ve seen in his presentation. Among the 6 licensing criteria which ought to be fulfilled every year by German clubs, in fact, one is about the infrastructure. Clubs in their respective league have to present facilities which are deemed suitable to host fans when it comes to safety and security. Interestingly, we saw how the process of renovation and construction did not end with the World Cup in 2006, quite the opposite. Since 2007, the year immediately after, in Germany 10 brand new stadiums have been built. And this comes as no surprise if we were to give a glimpse to the figures. Just to put this claim into context, Mainz opened its new stadium, the Opel Arena which cost around €60 million, for the 2011-2012 season and in only one season had accounted for a percentage growth in its revenues of roughly 61%. : from €41mil. to €68mil. A figure which points out immediately how much benefits a club can get from owning a modern new stadium and highlights, even more, why it is so crucial for young future professionals like us to be acquainted with this increasingly important aspect of the football business. We look forward to starting this week the second part of the course which will be concerned with Operations and Exploitations. Francesco Gizzi is a Candidate of The FBA’s Professional Master in Football Business, expected to graduate in February 2019. He can be contacted via LinkedIn. ESSMA, the European Stadium and Safety Management Association, is a strategic partner of The FBA. For more information on what they do please visit http://essma.eu.